Will his inheritance prove his undoing? Carl Martin inherits a house in an increasingly rich and trendy London neighborhood. Carl needs cash, so he rents the upstairs room and kitchen to the first person he interviews, Dermot McKinnon. That was colossal mistake number one. Mistake number two was keeping his father's bizarre collection of homeopathic "cures," including controversial diet pills. Mistake number three was selling fifty of those pills to a friend, who is found dead. Dermot seizes a nefarious opportunity to blackmail Carl, refusing to pay rent, and invading Carl's space. 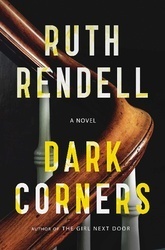 Ingeniously weaving two storylines that merge in one shocking turn, Ruth Rendell describes one man's spiral into darkness-and murder-as he falls victim to a diabolical foe.